Gorgeous Home in Curtis Creek Estates! 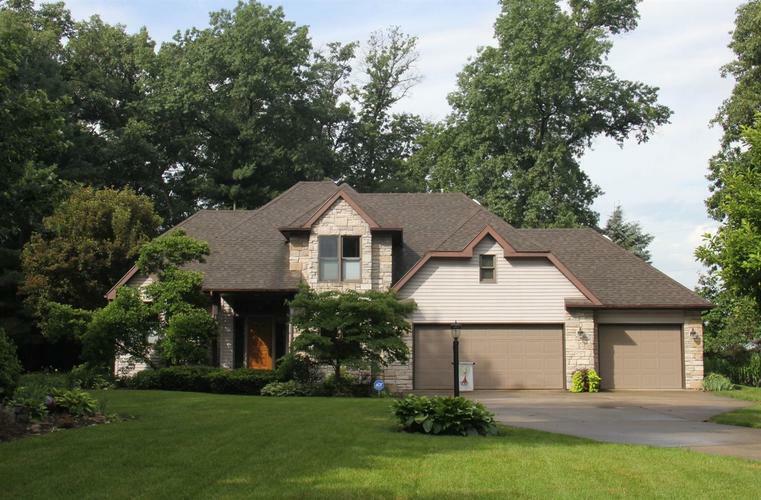 Over 2600 SF are offered in this Beautiful home! Great Room with Gas fireplace, Formal Dining Room, Spacious Kitchen, Laundry Room, 1/2 Bath, Sun Room and Master Suite complete the main level. Three Bedrooms, a Full Bath and Unfinished Bonus Space over the Garage finish out the upper level. Extras include 3 Car Attached Garage with Lighted Workbench and an Abundance of Cabinets, Deck, Patio and Storage Barn! Lot is Tastefully Landscaped and includes Underground Irrigation. Updates include Countertops, Ensuite Flooring, Soaker Tub, Light Fixtures and Paint. This Home is Agent Owned. A Must See!! Directions:Travel west on SR 114 from I65 to CR 1080 (turn South), 3/4 mile to Fairway Dr. Turn West on Fairway Drive, house is on the left at end of street.